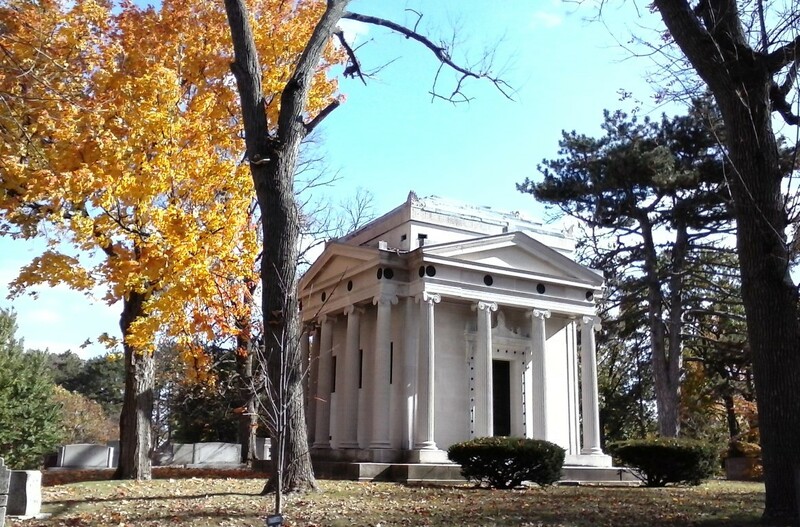 ﻿ Woodland Cemetery & Arboretum - Ohio. Find It Here. 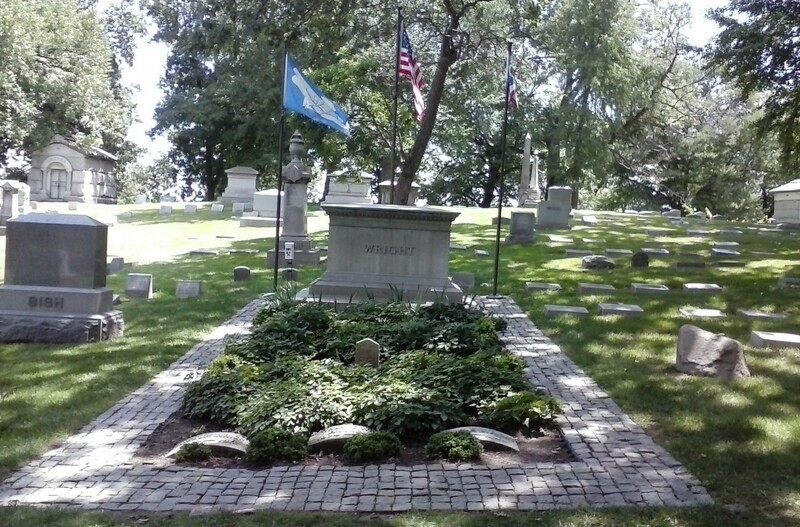 Woodland was established in 1841 for the expressed purpose of creating a resplendent cemetery landscape to support a rapidly growing city. 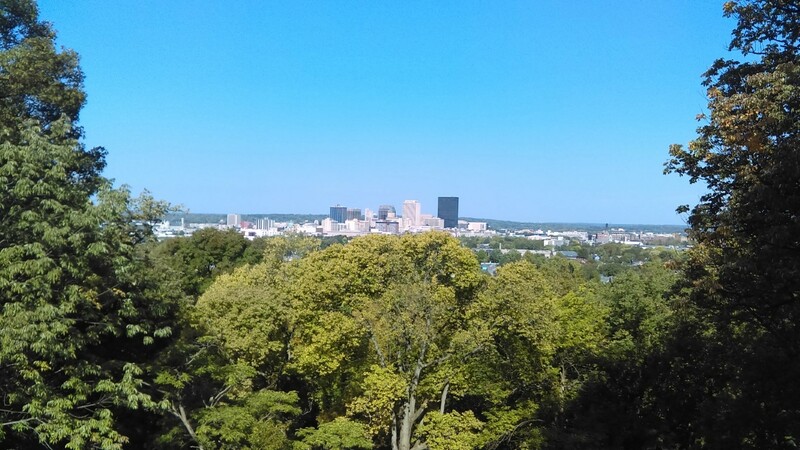 Since its very beginning, Woodland has been the conservator of Dayton history and the culture of its people. 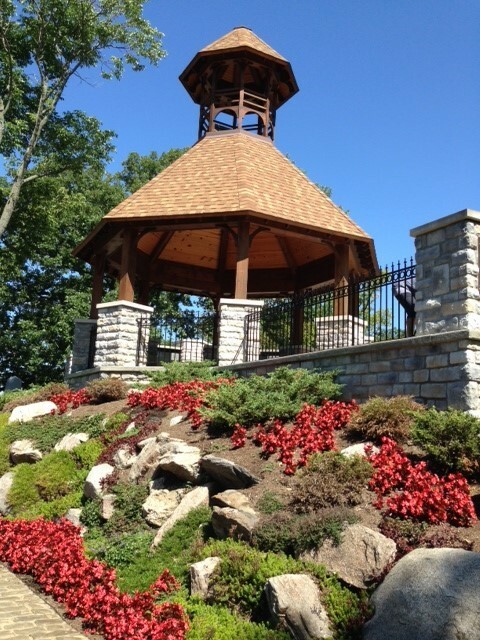 With over 109,000 souls entrusted to its care. 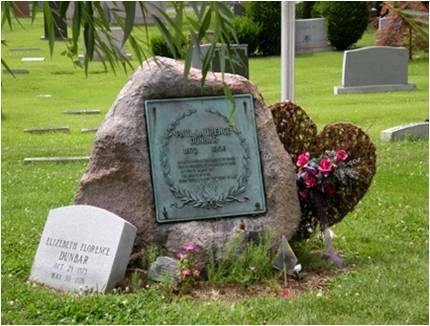 It is the final resting place of many of Daytons most distinguished residents including inventors of powered flight, the Wright brothers, poet Paul Laurence Dunbar, author and humorist Erma Bombeck, inventor and philanthropist Charles F. Kettering, governor and 1920 Presidential candidate, James M. Cox; entrepreneurs John H. Patterson, George P. Huffman, George Mead, Loren M. Berry, Sr., Preserved Smith and Joseph W. Green. 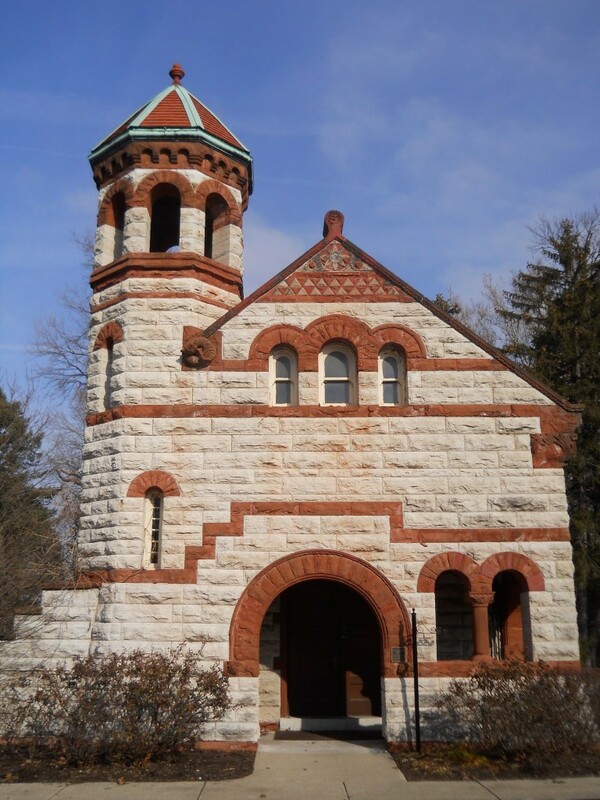 The Romanesque Gateway, Chapel and office are listed on the National Register of Historic Places. 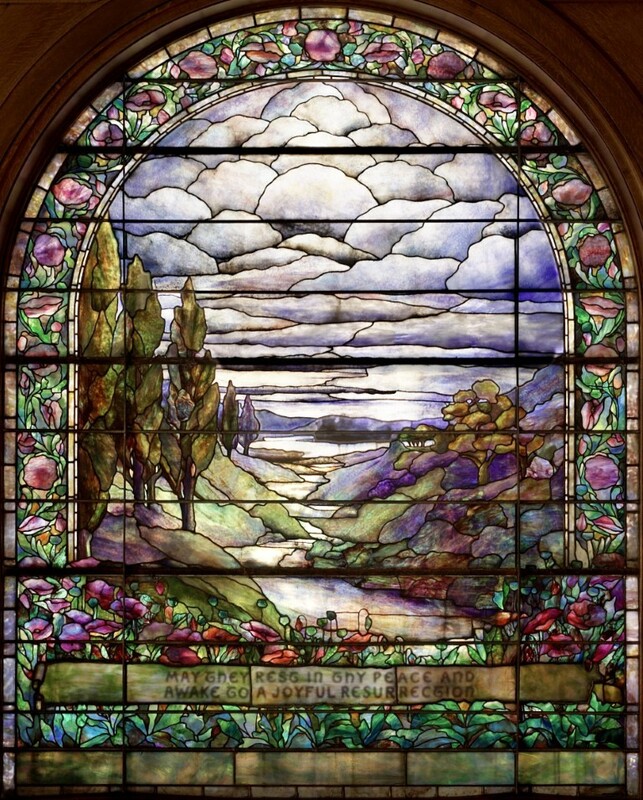 The Chapel has one of the finest original Tiffany windows in the country. 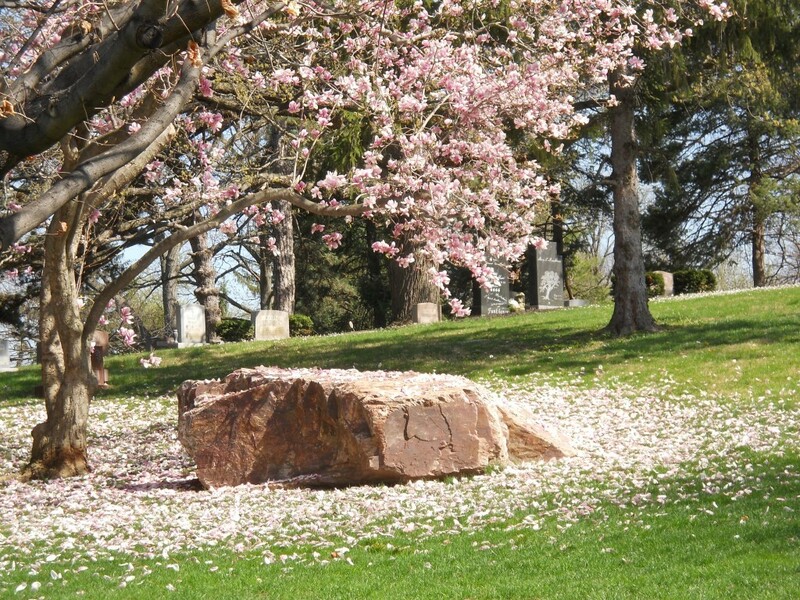 And the cemetery itself is designated as a Historic District and was also placed on the National Register of Historic Places by the United States Department of the Interior. 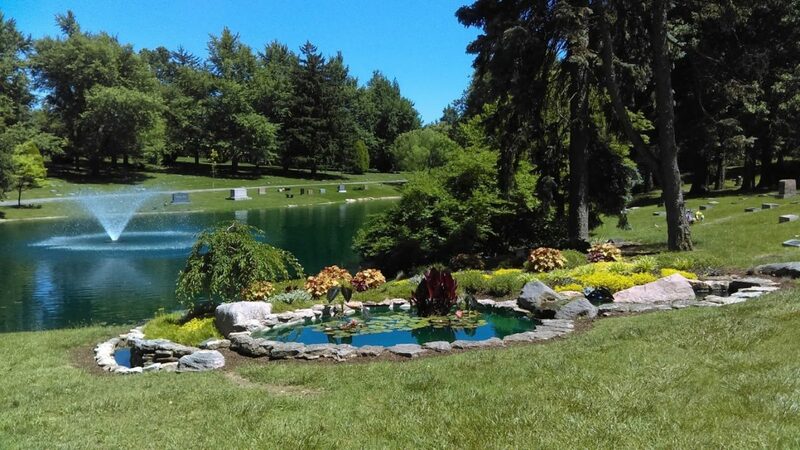 The Arboretum is among the foremost green spaces in Ohio with over 200 acres adorned with 3,000 trees, including ten current of former state champions. 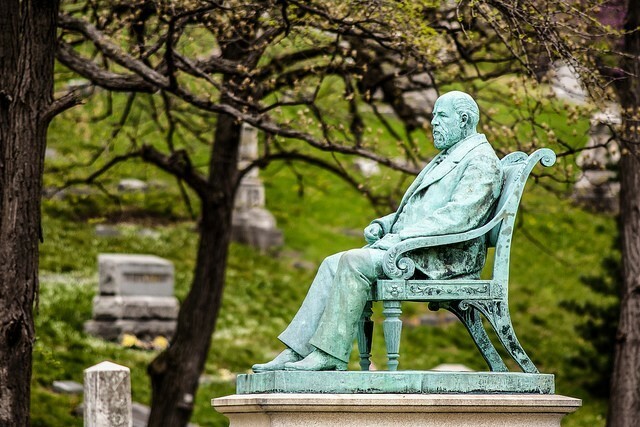 There are nearly 100,000 monuments ranging from rugged boulders to Greek Statues and temples that memorialize the lives of people who shaped a young city, and a young nation.